Warning that a Middle East empty of Christians would be “just like the Taliban,” Iraq’s most senior Catholic leader pointedly called on the West to show greater concern for suffering Christians in the region. “We feel forgotten and isolated,” said Patriarch Louis Raphael I Sako, head of Iraq’s Chaldean Catholic Church. Sako said that at the moment, the influence of Western nations in the region seems to be based primarily on self-interest. Sako spoke Dec. 14 as part of a conference in Rome organized by the Religious Freedom Project at Georgetown University, part of the Berkley Center for Religion, Peace and World Affairs. 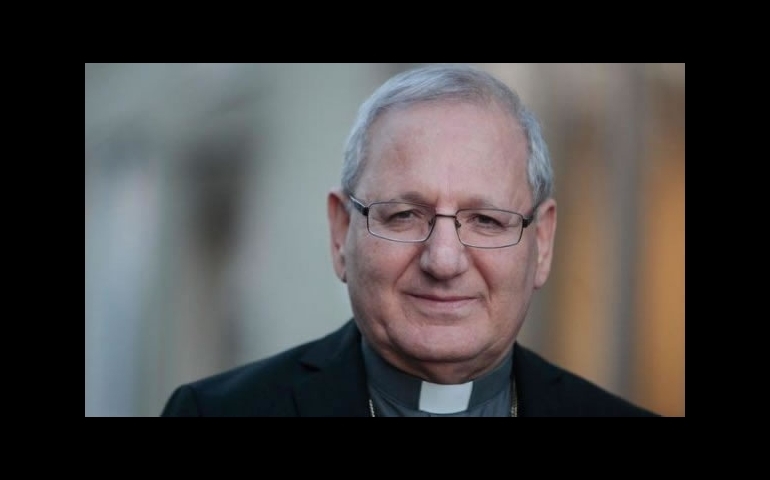 Sako, 65, became the Chaldean patriarch in January, succeeding Cardinal Emmanuel III Delly. The Chaldean church is one of 22 Eastern rite churches in communion with Rome, and represents the largest Catholic body in Iraq. Sako pulled few punches in describing what he termed a “mortal exodus” of Christians from the Middle East today, which he said is fueled by sectarian conflict, rising Islamic extremism, and criminal gangs that often see Christians as convenient targets. According to Sako, more than 1,000 Christians have been killed in Iraq since the U.S.-led invasion in 2003, while scores of others have been “kidnapped and tortured.” He said that 62 churches and monasteries have been attacked. These realities, Sako said, are driving Christians away in growing numbers. He cited a recent estimate from the U.N. High Commission for Refugees that 850,000 Christians have left Iraq since 2003, by some estimates representing almost two-thirds of the country’s Christian population. Sako warned that the same trends are currently gathering force in both Syria and Egypt, citing estimates that in the last 18 months some 100 churches in Egypt have been attacked, while 67 churches have been assaulted in Syria and more than 45,000 Christians have left the country. In effect, Sako warned, what’s happening puts the survival of Syriac Christianity at risk, which he described as one of the great early traditions in the church alongside Hebrew, Latin and Greek. Amid the violence, Sako said one tendency is to retreat into sectarian ghettoes, but that poses its own risks. He opposed calls to carve out an independent zone for Christians in northeastern Iraq, where the Assyrian population is concentrated. “The Nineveh plain is largely surrounded by Arabs, and Christians would serve as a useful and undefended buffer zone between Arabs and Kurds,” Sako said. In part, Sako argued that building such societies is in the interests of the Muslim majority– because, he bluntly insisted, they need Christians. “Christians are important to the Middle East because of their culture, high levels of education, skills, qualifications, openness, their spirit of cooperation and their institutions such as schools, hospitals, orphanages, homes for the aged and the poor, as well as their economic enterprises and small businesses,” he said. The idea, as Sako described it, would be to take the vision presented in Dignitatis Humanae, the document of the Second Vatican Council (1962-65) on religious freedom, and phrase it in Islamic concepts and categories. “Such an undertaking can help the church look for a new and more comprehensible theological language in Arabic to help Christians and Muslims to understand our faith, and the importance of religious freedom to every person and every society,” he said. Sako did not say whether he wants the document to come from the Vatican or from the local churches of the Middle East, although he appeared to suggest it should come from the highest level of authority possible. “Dialogue is possible among Christians and Muslims, even with the fundamentalists,” he said. One key, he said, is for Christians to be “strong” in their views. Sako also called on Muslims to embrace “a new reading of their religion,” arguing that moderates ought to be more outspoken in challenging “sectarian and provocative” stances within Islam. As a case in point, Sako cited an Iraqi imam who recently told his followers that they shouldn’t even shake hands with non-Muslims. Sako called such a stance “simply unacceptable”. On the sensitive question of Muslim converts to Christianity, Sako appeared to counsel prudence. “We have to find ways to help these people live their faith in a situation in which there’s no freedom,” Sako said. In turn, he said, the situation illustrates the need for reform at the “constitutional level” to protect the rights not only of converts but also of people living in religiously mixed marriages.